hhhmmmm i get all the items from this mod...but this appeared? lots of question marks? This is such a great-looking mod! 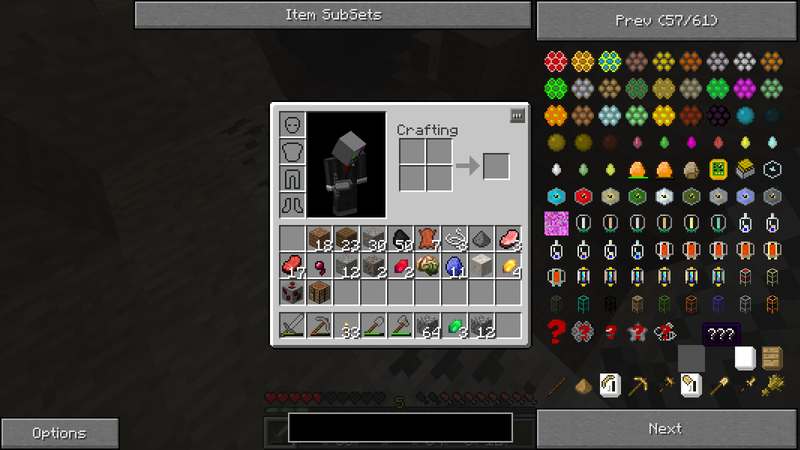 Can anyone confirm if it works with the 1.4.9.12 beta build of Forestry? I know SirSengir changed up his API code and I tried to muck around with the beta build and the several mods I have that use the Forestry API and made a mess of things. Please make visbees for 1.3.2 for thaumcraft 3 and give it to the FTB people, we need more bees! No it does not support the beta, Sengir changed the way bees works. Thaumcraft 3 is not released yet. Common and Imperial Branch bees: Common, Cultivated, Noble, Majestic and Imperial. I still only get depleted bees or the other breed. Am I going in the right direction and have just been unlucky, or am I misunderstanding the clue? as stated earlier, the download link seems to be broken. anyone else know if it might be moved/located elsewhere? edit: been checking back every now and then for a reply and trying download again and now it works? to whoever fixed it, ty! Ok, I got a Tainted Bee. Its not pulling anything at all up in the Habitat Locator. Does it have to live in a tainted zone or something? I've been asking everywhere and everyone this, but no one's answered, so please, for the love of my sanity and all things pure and sacred in this world or any other, answer me! Which versions of Forestry, Extra Bees, and Vis Bees are compatible with Technic Pack 7.2.7, if any are. If there are compatible versions of these mods then please tell me how to install the mods. Please, people, I'm begging you, please answer these two questions. WHY IS EVERYONE IGNORING ME!?!? Does it use Thaumcraft 2 or just regular Thaumcraft? If it's for 1.2.5 it has to be Thaumcraft 2 because Thaumcraft 1 was never for 1.2.5. It don't works with last Technic Pack version. Even NEI shows me only Depleted Bee, how it can be fixed?